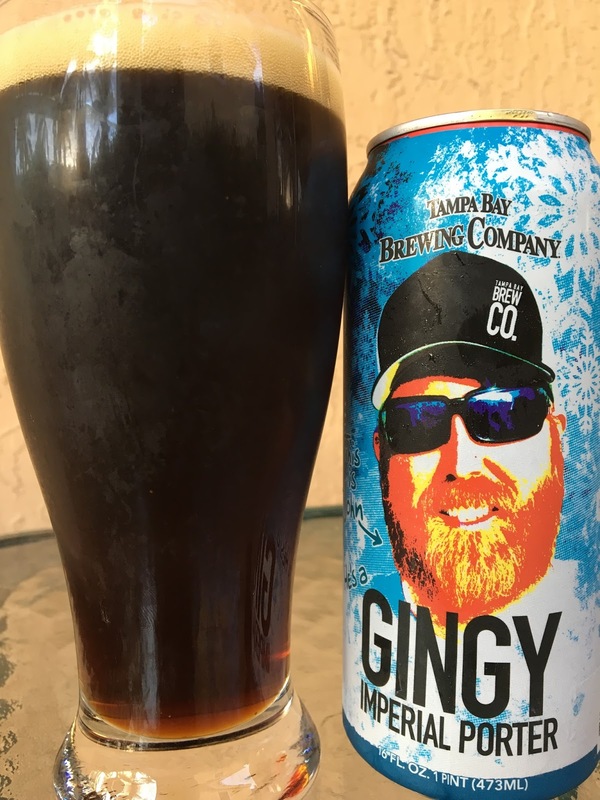 Tampa Bay Brewing's Gingy Imperial Porter is on deck! 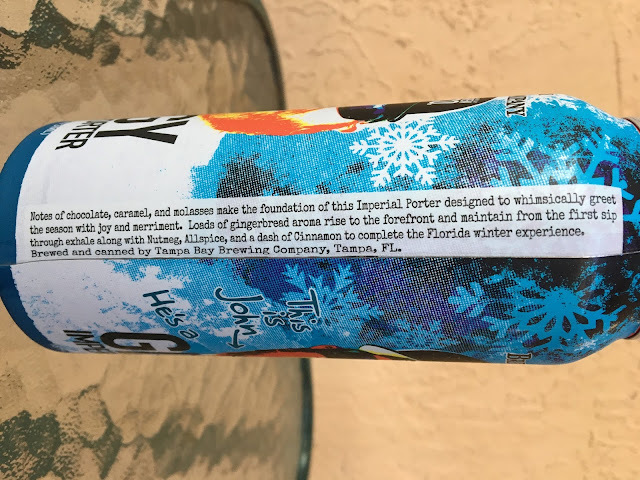 This is their (Florida) Winter Beer Experience in a 16 oz. can. "Gingy John" is pictured on the can. There is a story to set your expectations on this 9.0% alcohol beer, see below. Lots of cinnamon and ginger and cocoa for an aroma, I suppose "greeting the season with joy and merriment." Subtle start to the flavors, soft cocoa, touch of caramel. Spicy ginger arrives next in full force, gives a little of that ginger burn. Not bad but wanted more porter-like flavors, chocolate, caramel, roast, versus this spice-driven, ginger-dominated interpretation. Not bad.